Bauhaus School fame architect Walter Gropius was born on May 18, 1883 in Berlin, Germany. Gropius was the son of an architect father and studied architecture at a technical institute in Munich from 1903 to 1904 and in Berlin–Charlottenburg from 1905–1907. He got his first building built even before getting the professional degree of architecture. In 1910 Gropius started his own architecture firm. Walter Gropius is counted among the pioneers of modern architecture. In early days of practice Gropius worked on some factory and office buildings. Gropius showcased his modernist approach in front of the world through an article that he published in 1913. In the article he talked about the development of industrial buildings and aided his notions with photographs of factories and grain elevators. Gropius’s practice came to a pause due to the World War I but later he embraced the international recognition through his Bauhaus School project. The major idea of this art school had started to develop even before the end of the war. Gropius was approached by the city of Weimar during war period and he was appointed as the director of the Grand Ducal Saxon School of Arts and Crafts, the Grand Ducal Saxon Academy of Arts, and the Grand Ducal Saxon School of Arts, which were ultimately united as Staatliches Bauhaus Weimar (Public Bauhaus Weimar). The major characteristics associated with Bauhaus School were the practical training and workshops offered by the institute. In 1934 Gropius left Germany and after short visits to Italy and Britain he finally got settled in the United States. There he made his own house following the principles used in Bauhaus School and ended up bringing international modernism to the United States. That house got so much fame and was eventually entitled as the National Landmark in 2000. After this, Gropius adapted the profession of teaching and moved to Cambridge, Massachusetts and started teaching architecture at Harvard Graduate School of Design. In 1938 he became the chairman of the Department of Architecture. At the end of his tenure Gropius also served as a member of visiting committee at Massachusetts Institute of Technology. Gropius had a firm faith in teamwork. He materialized this belief of his in Bauhaus School as well. Thus, moving on with this faith he set up the young architects’ association, The Architects Collaborative (TAC) in 1946. A major project on credit of this firm was the Graduate Center of Harvard University in Cambridge. 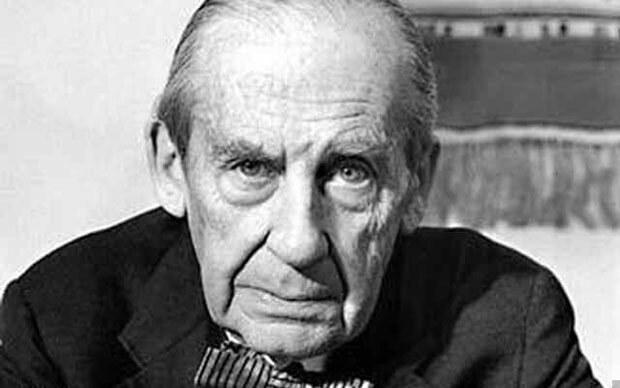 From 1967 to 1968 Gropius served as an academician at National Academy of Design. In the mid of 1969 at the age of 86 Gropius got diagnosed with an illness that caused inflammation of his glands. Despite all efforts that included a surgery as well, he failed to survive and died in his sleep on 6 July 1969 in Boston, Massachusetts.